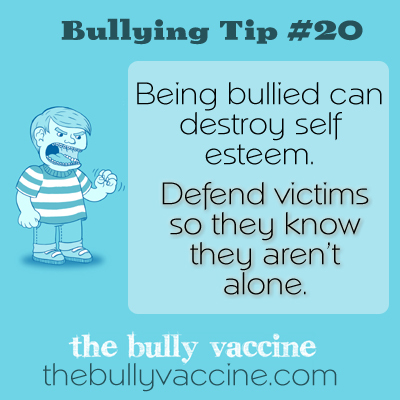 Being bullied can destroy self esteem. Defend victims so they know they aren’t alone. Standing up for a victim of bullying puts the bully on notice that their bad behavior won’t be tolerated anymore.